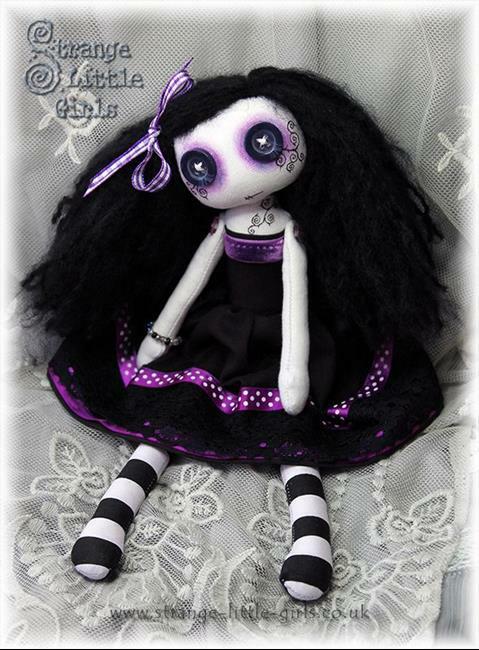 This Gothic style, button eyed, cloth art doll is hand made from white cotton. She has moveable, button jointed arms and hinge jointed legs. Her face is hand painted in coloured pencil and archival quality ink. 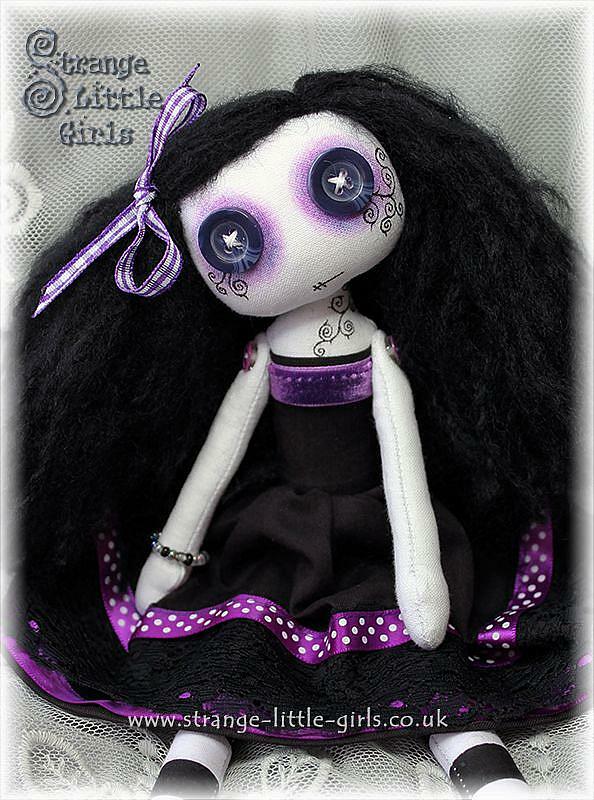 The hair is made from cruelty free, mohair effect, acrylic yarn, which is needle felted in place. The clothing is all hand made and non-removable.